CHELSEA, Manhattan (WABC) -- Two men broke into the conductors booth of a Chelsea subway Thursday night to announce over the public address system that "ISIS is hijacking the train." 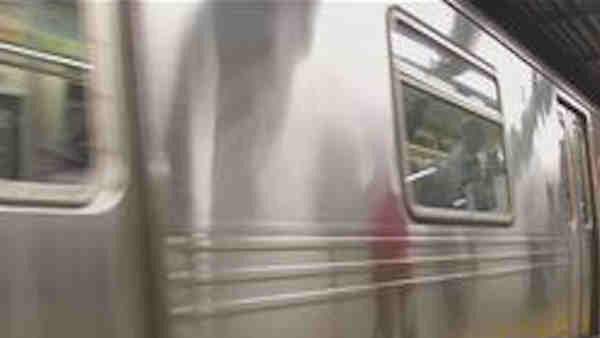 The men, believed to be pranksters in their 20s, gained access to the booth as the southbound R train passed the 23rd Street station. Between the 23rd Street and Union Square stations, they announced to other passengers that ISIS was in control of the train. They fled when they arrived at Union Square just before 11 p.m., and no arrests were made. Police responded to the Union Square station and the train was taken out of service to search for evidence. It did not immediately appear the announcement caused a panic among passengers, and authorities said they are treating it as merely a prank.